I was among friends. Some of them were worn and tired. Some showed classic lines. All had something to say. They were books. Many were well seasoned, having felt the hands of at least one previous owner. Some were brand new, and could boast a lofty ranking on somebody’s bestseller list. The familiar smell of leather-bound paper relaxed me, the way you relax when you don an old pair of slippers, and you’re among old friends and you don’t care what you look like, or who’s around, and you can wear worn-out blue jeans and an old faded pullover, and you browse contentedly through stacks of knowledge the way cared-for cattle graze a green pasture. These friends lined the shelves of Well Read Bookstore in Fulton’s historic Brick District. But I’d been among other friendly stacks, too, where books are more respected than the money that buys them. Reader’s Corner in Rolla. Left Bank Books in St. Louis. Main Street Books in St. Charles. Yellow Dog Bookshop in Columbia. And even though the independent bookstore is an endangered species, driven to near extinction by nobles and amazons, the hardy stand-alone bookseller braves the current, with the pluck and resolve of the thousand protagonists who line its walls. I haven’t been to them all, yet. On my mission to drive every mile of every road on my highway map, I passed a few without stopping. Many of these independent stores will sell my new book, same as they still stock the last one I wrote. But that’s not why I love them. I love these small booknooks for their enthusiasm, their innocence in the face of corporate efficiency, their commitment to a hard road in the name of literature. Fact is, Amazon sells almost as many of my books as all my favorite indie bookstores combined. And for that exposure I’m grateful. Still, when I put on an old sweater to hide the hole in my shirt, and walk into Downtown Books in Jefferson City to sit at an old wooden table to shake hands with friends past and future, and sign books until the calluses on my fingers beg me to take a break, I know why I took my journey. See you down the road, among old friends. 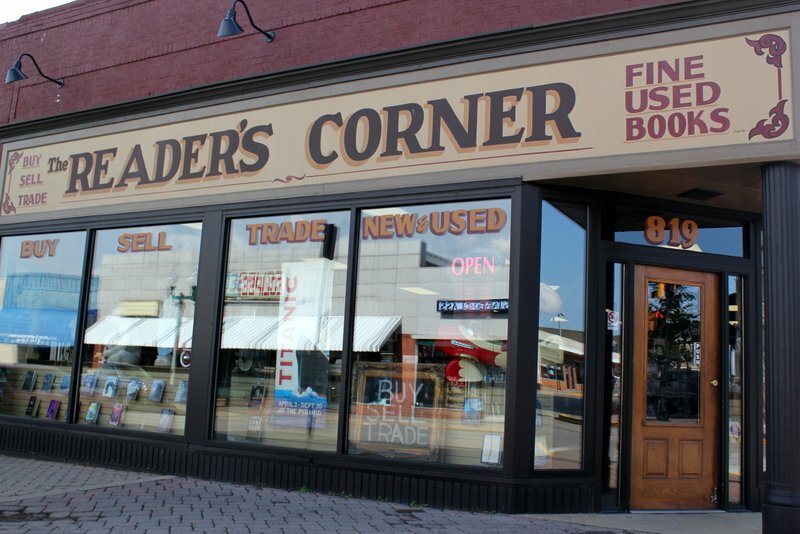 I absolutely loved Readers Corner in Rolla. I was so sad when they closed (2016 I think). My new favorite is Books Galore in Festus. Reminds me a lot of the vibe and variety of Readers Corner.